Everybody collects something. Even if we don’t intend to. I certainly didn’t set out to collect glasses, eyeglasses. When Dad passed away, I wrapped his glasses in a soft cloth and stored them in my bedroom dresser drawer beside Mom’s glasses that I had saved after her death. A few years later, I discovered four pairs of glasses among a box of my paternal grandmother’s keepsakes. 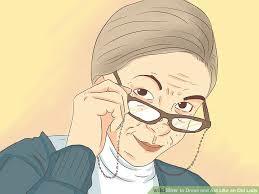 I recognized Granny’s glasses, but not the other round wire framed ones. One missing a temple and one held together with wire and a brown shoelace. And a pair of fragile, falling-apart glasses inside a hard black case stamped with an Oklahoma doctor’s address. Because these three pairs are small, I think they belonged to a woman, maybe my great-grandmother or maybe Granny when she was young. Now, these eyeglasses are displayed in a glass curio cabinet in my home. It feels good to see something that my parents and grandmother wore. So does only a few pairs of glasses make a collection? How many of anything is a collection? Some say three. Some say a collection is more than can be used or enjoyed at one time. There is no set number and that makes everyone who owns a group of things a collector. The Cookeville History Museum recognizes that we are all collectors and its current featured exhibit is Collecting Cookeville. Collections owned by Cookevillians. When the museum asked for 3-5 items from collections to borrow for display, I took my ancestors’ glasses. Other people took vintage Coca-Cola items, antique silver trophies, silver napkin rings, vintage books, flower frogs and many more things. This exhibit runs thru February 24 and is in memory of Linda P. Carlen who was an avid collector and a friend of the history museum. So does the History Museum have only this special exhibit? No. When you visit, take a few minutes to stroll through Cookeville’s past. You’ll see items reflecting pioneer life: farm and kitchen tools, spinning wheels, and arrowheads. Civil war items include a diary, bullets, and a lance. From World War I and II, there are uniforms, canteens, medals, draft cards, and trench art. My Grands’ favorite displays relate to school. An old timey desk with a chair attached. Sweaters, beanies, and artwork from Tennessee Polytechnic Institute, TPI, and later Tennessee Technological University, TTU. Stop by the History Museum (admission is free) located at 40 East Broad Street from 10:00 a.m. – 4:00 p.m., Tuesday thru Saturday to travel back in time. I applaud the folks at the museum for documenting our community’s history and I appreciate these collections loaned by regular, everyday people. Everyone collects. Why? Professional collectors are usually motivated by money. The reason most amateurs collect is love. That’s exactly why I saved Mom’s, Dad’s and Granny’s glasses. And, yes, I have a few other collections. Surely, collecting is a good hobby.